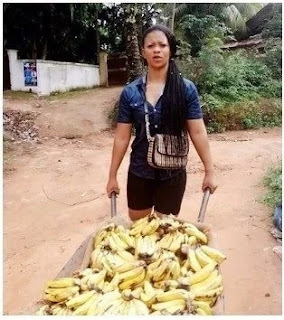 Photos of this beautiful Nigerian lady who sells banana for a living is trending across social media after her photos was shared online. According to the Facebook user, whose identity remain undisclosed, the beautiful lady has become very successful selling banana on the street. It was stated on the page that the young lady has been able to live a comfortable life with her earnings from hawking banana.